Our much-loved INDIGO BLUE HAND BLOCK PRINTS and Botanically-sourced colourways. This spring, our INDIGO STORY includes one of a kind handmade scarves and wraps, sourced by Andrée in Calcutta, purchased directly from India's finest textile artisans. I will be on site to chat about how I create my unique designs for hand block print with natural dyes in Jaipur India, as well as my work with the many skilled block printers, block carvers, tailors, pattern makers and others who helped to make your IINDIGO printed clothes. Looking forward to seeing you, and please invite your friends! A very interesting evening lecture coming up, my friend Jenny Balfour-Paul, international indigo expert, is coming from England. Hope to see you there. 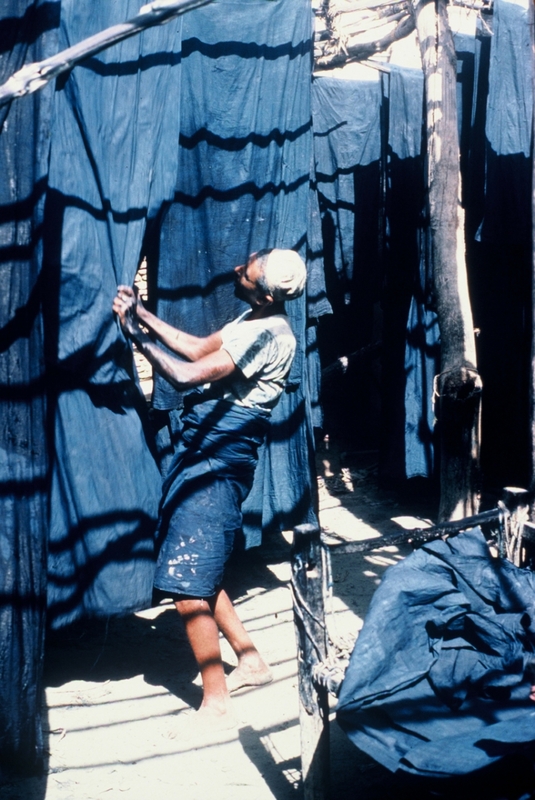 Join Jenny Balfour-Paul in this richly illustrated lecture on the worlds only natural blue dye, indigo. Widely used and traded worldwide for over six millennia and popular today in the 'slow fashion' movement, indigo has a fascinating colonial past reaching as far as rural Bengal and the great trading city of Kolkata. Balfour-Paul will recount her fieldwork travels in the Arab world and beyond, and how serendipity and a shared passion for this vivid colour led to her discovery, in the depths of the British Library, of the remarkable journals of forgotten explorer and indigo planter Thomas Machell. 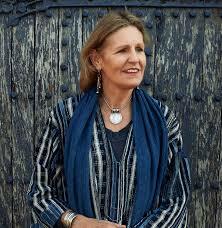 Jenny Balfour-Paul is an international lecturer, traveller, writer and artist. Balfour-Paul is the author of three books on indigo, is an Hon. Research Fellow at Exeter University, Trustee of the Royal Geographical Society, Fellow of Royal Asiatic Society and Explorers Club and President of UK's Association of Guilds of Weavers, Spinners and Dyers. She is the consultant curator for the Whitworth Art Gallery’s exhibition Indigo: a Blue to Dye For, partner in Silk Road Connect educational initiative launched by Yo Yo Ma’s Silk Road Project in New York in 2009, consultant for documentary films and Indigo Sutra held in Kolkata in 2017. Her collections are held in major UK museums.